This game is so much like zelda. Been a while since i played through it, but i seem to recall the final level is partially randomized? The other game i think zc could pull off a decent version of is golden axe warrior. I do not pretend to know how to use zquest, so i personally will not be trying to do these, but i would just love to see either of these games in zc. 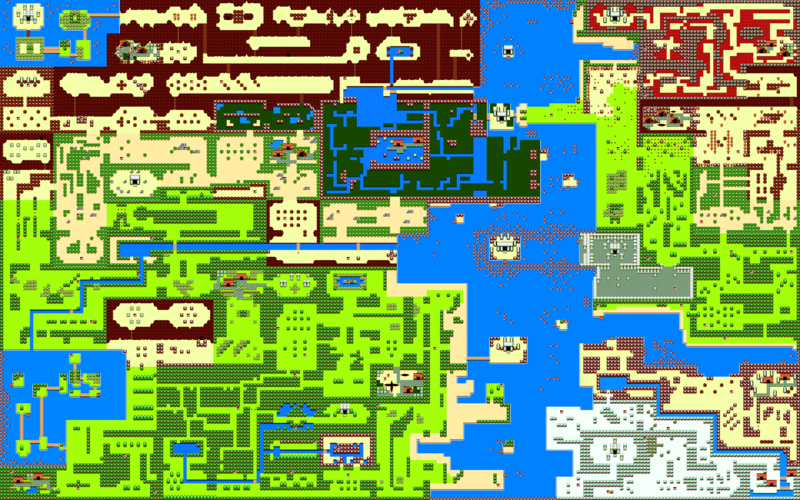 At the very least, someone should rip the tilesets from these games to zc format. I've always wanted to see some sort of editor / designer for the 2D Castlevania Metroidvania RPGs. I am such a massive fan of those games! EDIT: What do you mean, "version?" A quest based on the games? Or a kind of game that features an editor. I guess both would be good on their own. I mean, i want to see those games recreated inside zelda classic as a custom quest. Seiken Psycho Calibur is so similar to zelda i literally think it could be reproduced 1:1 in zc if you could rip the tileset. Yeah, those both really look like Zelda games. Golden Ax Warrior looks like it could be a lost sequel, or something. I don't think it would be too hard to rip those tiles. But, if you wanted enemies, and sprites, then it might get a bit more time consuming. At first, I thought those trees were the ones they used in Outlands. I'd like to see something like Darksiders or Shovel Knight in ZC. I think zc will have to change a lot for it to pull off darksiders . Shovel night on the other hand, hmm... We already have a few mega man and metroid attempts in zc. Shovel knight in zc would be interesting. Edited by abdulisgood, 05 March 2018 - 08:59 PM. Hell, if you're gonna script Shovel Knight in ZC, you might as well be making your own engine at that point. I think that there should be a zc version of undertale like, not the game, but like a map. I don't know about gameplay necessarily, but the sprites/tilesets of Golden Axe Warrior and Seiken Psycho Calibur both look like they'd translate very well into ZC. Could be a fun project if you're ever up for it. Someone was crazy enough to script raycasting (pseudo-3D) in ZC. We can find someone crazy enough to script Shovel Knight. Edited by Old-Skool, 23 August 2018 - 02:55 PM. Any sort of old Dungeons and Dragons tabletop module or Dungeons and Dragons computer game ever made could work in ZC, no matter how old or new it might be. I'm surprised no one has made a Pokemon RPG with the engine yet. I wonder how Minecraft would render in the ZC engine. Anybody else got Minecraft fever? Ugh, that game should come with a warning: "Utterly Addictive". I would also like to see My Little Pony: Friendship Is Magic rendered in ZC. Unfortunately,they would probably look like a pixelated mess.